Employers often quickly draft or piece together severance agreements at the last minute, days before the employee is terminated or laid off. However, for the reasons discussed below, employers can better ensure that their objectives in administering severance are met and that they face less exposure by giving severance agreements thought well ahead of time. By thinking through the below points and creating templates for specific situations, an employer is more likely to have enforceable severance agreements and less legal exposure. 1. Why Are You Offering the Employee a Severance Agreement? The answer to this question effects whether you should offer severance at all, and if so, how you should structure your severance agreement, and whether certain statutes apply to the agreements. As part of a group layoff or termination that is not based on the employee(s)’ performance or is due to circumstances beyond their control as a way to offer continued compensation beyond termination. These agreements should be considered together in terms of criteria and compensation provided. Also, information about the terminated employees may have to be provided to the employee receiving severance under the Older Workers Benefit Protection Act, discussed more below. These agreements may be covered by the Employee Retirement Income Security Act, discussed more below. At the outset of employment, oftentimes as an addendum to an employment agreement, to assure the employee that if s/he is terminated for certain reasons, s/he will be entitled to continued compensation. Typically, the agreement is attached as a template or with criteria for the amount of compensation to be offered included within and to put the employee on notice that s/he will also have to sign a release to receive severance. 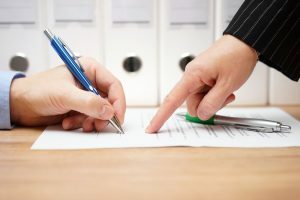 Where there has been or is a dispute between the employee and employer and the employer wants assurance that the employee will not bring any employment related claims against it. Where the company simply wants to offer a long-term or highly valued employee compensation as a thank you for their work, or to assist in their transition to their next endeavor. Not: Because you believe you are required to provide severance. There is no legal requirement to do so. 2. What Type of Severance Agreement Would You Like to Offer? A severance agreement including a comprehensive release of potential claims. 3. How Much Severance Should You Provide? Is there a formula? For example, has the company, either pursuant to a written policy or through custom, consistently provided a week or month of pay for every year worked? If so, remain consistent. Be extremely cautious using age or eligibility for retirement as a factor for offering severance as it will likely violate the Age Discrimination in Employment Act. Are you including a release? If so, the company should ensure that enough severance is offered to constitute consideration for the employee’s release of claims and that the consideration isn’t already owed. 4. Should You Include a Release of Claims? Again, there is no legal requirement that the company include a release of claims in a severance agreement. However, without a valid and enforceable release, the company does not have assurance that the former employee will not later bring a lawsuit. The company should consider a situation where it has paid, or is paying out through graduated payments, an employee’s severance, while simultaneously being sued by that employee. 5. Are Your Severance Agreements Subject to the Employee Retirement Income Security Act (“ERISA”)? Severance benefits are subject to ERISA if considered a plan, fund or program for benefits that requires an ongoing administrative scheme to meet the employer’s obligation. Plan may be considered either a welfare or a pension benefit plan depending on characteristics. A pension benefit plan is subject to more rigorous requirements under ERISA. Severance plans that are informal or have no related, written policies have been found to be governed by ERISA. Also, severance agreements that are paid from a company’s general assets may also be subject to ERISA. If your severance plan is subject to ERISA, it has to comply with the fact sensitive inquiry that may require assistance of counsel. 6. If Your Severance Agreement Contains a Release, Is It Compliant with the Older Workers Benefit Protection Act? If you include a release of claims within the severance agreement and the employee is forty (40) or over and you include a release of his/her Age Discrimination in Employment (“ADEA”) claims, it must comply with the Older Workers Benefit Protection Act (“OWBPA”). OWBPA amends the ADEA and prohibits age discrimination in the employee benefits of older workers. The OWBPA requires releases including ADEA claims to be “knowing and voluntary” to be strictly enforceable. If the termination is part of an exit incentive or a group layoff, it must provide the employee with 45 days to consider the agreement and a seven-day revocation period AND it must include specific information about the group of individuals that were eligible for layoff and those who were actually selected for layoff. Courts strictly construe the requirements of the OWBPA and failure to include any of the requirements may result in an unenforceable agreement. Ms. Batista is a Labor & Employment attorney that assists her clients when deciding issues like: If my employee has exhausted her FMLA leave and remains out, am I required to hold her position open? Can I terminate my employee for testing positive for marijuana? Will this non-compete agreement be enforced? She helps her clients answer these and similar questions, and vigorously defends their decisions. She represents businesses, such as restaurants, hotels, banks, retailers and health care providers, in the spectrum of employment and labor claims. Specifically, Ms. Batista successfully defends employers against claims of discrimination and harassment, retaliation, wrongful terminations and wage and hour violations. An employee’s post-separation conduct often requires legal advice and action too. 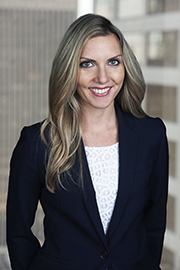 Ms. Batista commonly represents her clients in bringing actions for breach of restrictive covenants and contractual interference, as well as defends them against such claims. Employment and labor law is ever changing. Employers need to feel secure in how they manage their employees so they can focus on their business. Ms. Batista affords her clients that security.